Somalia has experienced almost constant conflict since the collapse of its central government in 1991. It was hoped the election of moderate Islamist Sheikh Sharif Sheikh Ahmad as president of a transitional government in January and the departure of Ethiopian troops would stop the violence, but Islamist insurgents are keeping up their almost daily attacks. The main fighters are from al-Shabab, a radical faction that emerged from the remnants of the Union of Islamic Courts, routed by the Ethiopian forces that invaded Somalia in 2006. The group, which is on the US terror list and is said to have links with al-Qaeda, now controls much of southern and central Somalia and has imposed strict Sharia law in those areas. They see President Sheikh Sharif Sheikh Ahmed, a former UIC leader, as having sold out for agreeing to head a government backed by the international community. This view is shared by another group of Islamist fighters - Hisbul-Islam - formed after Mr Ahmed become president in January. One of its main leaders is Sheikh Hassan Dahir Aweys, who together with Mr Ahmed headed the UIC in 2006. Unlike previous divisions in Somalia, these groups are not based on the clan system. So what do they want? Power - so that Somalia is ruled by Sharia. President Ahmed's recent introduction of Islamic law has not appeased them. They are followers of the Wahhabi school of Islam, which is based on a more rigid and literal interpretation of Islamic texts, rather than mainstream Sunni faith practised by most Somalis. The Islamists also want the African Union peacekeepers, based in Mogadishu, to leave. Mr Aweys, who recently returned from exile, says he will not enter peace talks with the government and his former ally until these "invaders" have gone. Not necessarily. 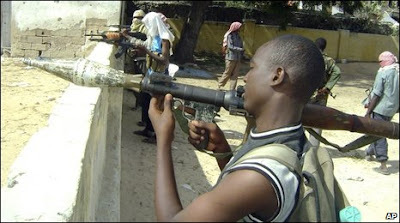 Military and intelligence sources say many government troops have defected to the insurgents. One assessment reckons the government can only rely on some 4,000 fighters against 6,000 from al-Shabab. Meanwhile, the AU peacekeepers, in the capital to bolster the government, do not have the mandate to pursue the insurgents. Only 4,300 troops of a planned 8,000 strong force have deployed. What is the international response? There is little appetite for international intervention given Ethiopia's recent experience, which gave rise to the current insurgency. Ethiopia initially intervened in late 2006 to save the interim government and to prevent the spread of fundamentalist Islam in Africa, a concern shared by America. But they suffered daily attacks - and at the worst of the fighting the bodies of dead Ethiopian soldiers were dragged through Mogadishu, bringing to mind similar events when the US intervened in the 1990s - made famous by the film Black Hawk Down. The UN backed the peace process which led to the election of Sheikh Sharif Sheikh Ahmed as president. In April, the international community pledged more than $200m to Somalia to beef up its security. 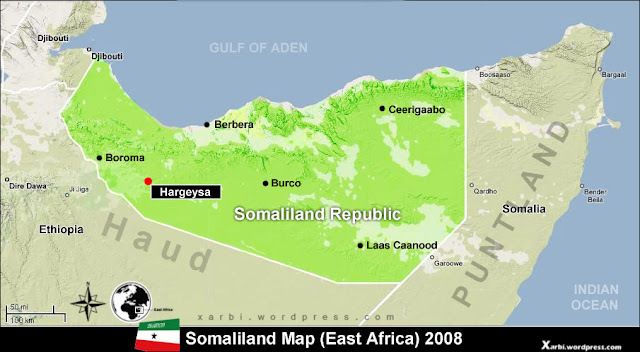 Most of this is for the embattled AU to help them with equipment and the training of Somali forces. They are intended to oversee the creation of 10,000-strong police force and the training of 6,000 soldiers. How are ordinary people coping? The latest fighting is said to have forced about 20,000 people from residential areas of the capital, where the battles are being played out by pro-government forces and insurgent groups. And over the years hundreds of thousands of Somalis have fled to neighbouring countries. More than one million people, in a nation the UN estimates to be of nine million, are internally displaced. Drought is further exacerbating the situation, with more than one third of the population reliant on food aid. Many Somalis depend for their survival on money sent home by their relatives abroad.